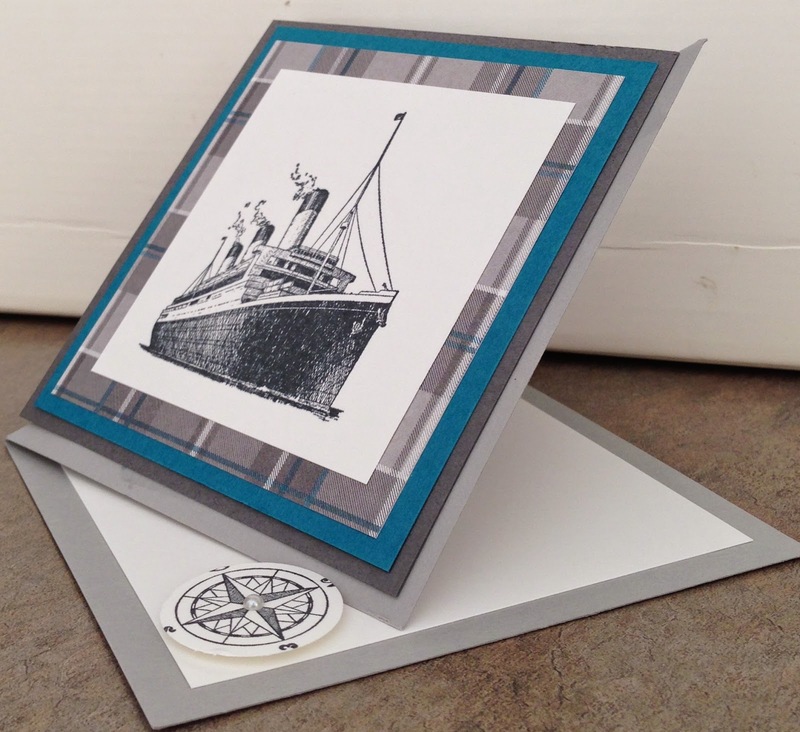 This easel card is very easy to make. This card is 4 X 4 but it can be any size you want. You can make 4 1/4 X 5 1/2 if you prefer. The front of the card is scored on the diagonal from the top right to the bottom of the fold on the left. Fold the fold toward the inside of the card. When applying the card layering pieces ONLY apply adhesive to the bottom right on the diagonal to adhere to the card base. The top left needs to be FREE to make the easel. To hold easel in place apply a dimensional to the bottom right corner on the inside. This side view shows you how the compass is popped-up. The Traveler and The Open Seas stamp set maybe to stamp sets you might want to add to your collection of stamps. Both are real masculine sets that have several different stamps to use for male cards. 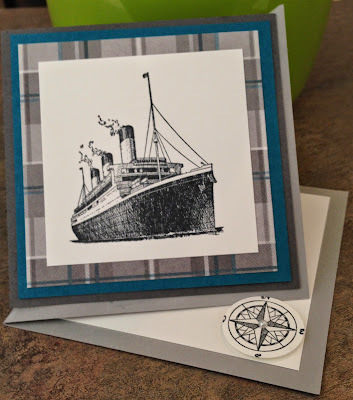 Happy Stamping and don't forget the current Stampin'Up catalog closes on June 2, 2015 And a brand new 2015-2016 catalog of ideas starts the same day.